When LeBron James decided to take his talents to Los Angeles, he began retracing the steps of another game-changing player who wanted to move beyond basketball into the world of entertainment: Wilt Chamberlain. Fifty years before James set his sights on Hollywood, Chamberlain reconfigured the intersection between basketball and celebrity. In orchestrating his move from the Philadelphia 76ers, the Big Dipper was instrumental in bringing both glamour and the Lakers’ first championship in Los Angeles to the “Fabulous Forum.” The NBA’s first true off-court celebrity, Chamberlain built the platform that James stands on today. Comparing their playing careers, personalities and politics, it’s clear that although they differ in many ways, James and Chamberlain came to Los Angeles at similar stages in life. Leaving their hometown teams — James in Cleveland, Chamberlain in Philadelphia — both joined the Lakers in their early 30s. Chamberlain had won one title in Philadelphia, while James won two in Miami and one in Cleveland. Yet both men uprooted themselves to move to California, realizing their value as basketball players and celebrities was worth far more in Hollywood. Only in Los Angeles, a city of infinite beginnings, could they find a stage big enough for the final chapter of their playing careers. 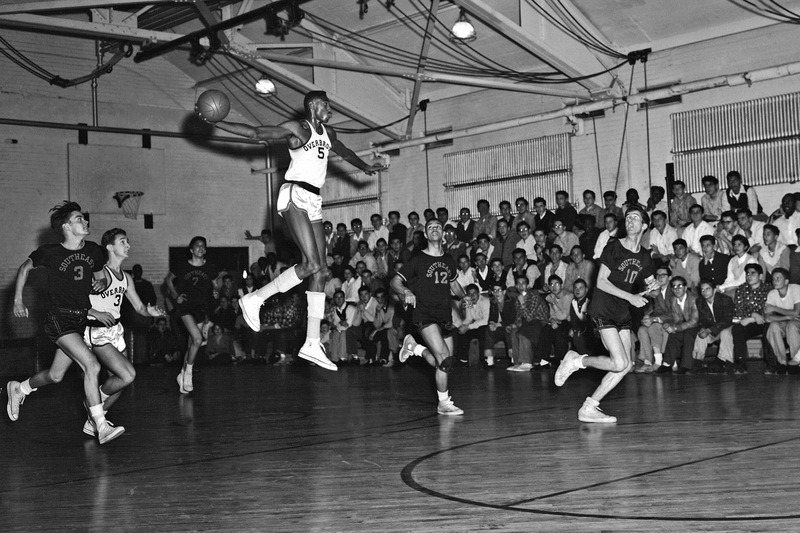 Wilt Chamberlain of Overbrook High School jumps circa 1953 in Philadelphia. At an early age, they were viewed as transformational athletes, the very future of the sport. In 2002, Sports Illustrated crowned James, a 17-year-old high school junior, as “The Chosen One,” a once-in-a-generation talent whom scouts compared to Magic Johnson, Kobe Bryant and Michael Jordan. Nearly 50 years earlier, in 1955, Sport magazine labeled Chamberlain “The High School Kid Who Could Play Pro Ball Right Now.” His enormous talent inspired the first national recruiting campaign in college basketball. According to a 1977 biography by sportswriter Bill Libby, more than 100 schools offered him a scholarship, many of them promising cash for his services. His recruitment signaled the beginning of treating high school basketball players as commodities, a lesson that James learned when he became a household name playing on ESPN for St. Vincent-St. Mary High School in Akron, Ohio. 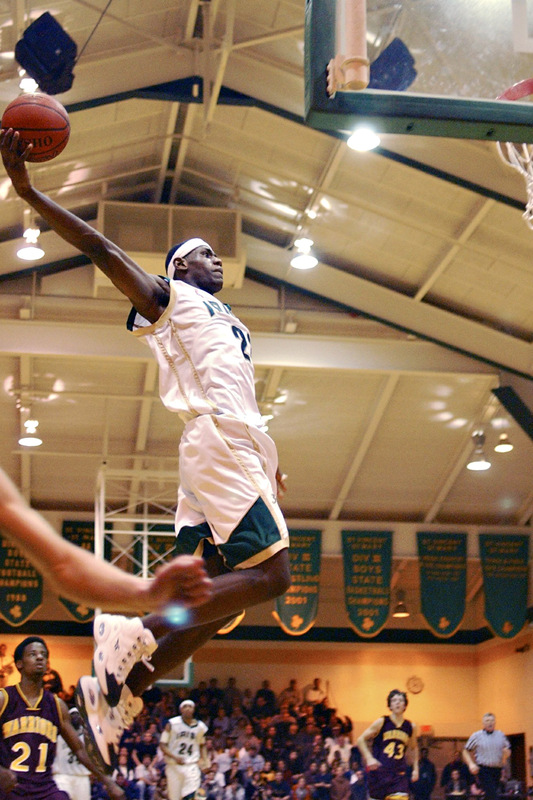 St. Vincent-St. Mary’s LeBron James dunks during the second quarter against Walsh Jesuit on Jan. 24, 2003. Despite their common experiences with fame, the personalities of the two men could not be more different. Born and raised in Philadelphia, one of nine kids, Chamberlain was a loner who trusted few people. He never married, and most of the women in his life passed through like it was a revolving hotel door. “He was always afraid someone would see through him or look inside him,” Lakers trainer Frank O’Neill told Libby. A complicated figure, Chamberlain could be extremely confident and egotistical, boasting of his achievements, and yet he was also deeply sensitive. Off the court, Chamberlain sought the attention and recognition that came with being known as the best. And like James, who is an active television and film producer, Chamberlain was a businessman, investing in real estate, restaurants and racehorses. Early in his career, he spent much of his time in Harlem, New York, where he used his money to cultivate fame, purchasing the legendary nightclub Smalls Paradise. Moving comfortably among entertainers and musicians, it was a place for him to be seen, impress people (especially other ballplayers) and revel in the company of women. 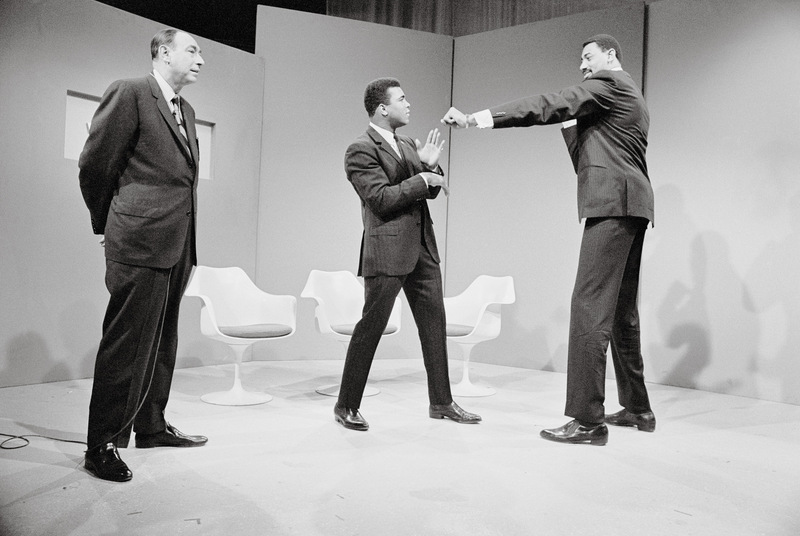 As Howard Cosell (left) looks on, Muhammad Ali (center) attempts to ward off a playful jab thrown by Wilt Chamberlain (right) just before the taping of a television show. Chamberlain, star of the Philadelphia 76ers, said he was ready to debut as a fighter. Ali, 35, who suffered his only defeat in 32 professional fights a month before to Joe Frazier, and Chamberlain, 34, planned to fight in Houston’s Astrodome on April 26, 1967, with each man receiving $1 million. The fight never took place. James has also been criticized for his egotistical displays, especially for the way he handled The Decision, his move from Cleveland to Miami. He, too, has been the dominant player on his teams. But, unlike Chamberlain, James is widely recognized for pushing his teammates to succeed. At his core, he is a creator and facilitator, directing his teammates like an orchestra conductor. The only child of a single mom, James is a family man, an involved father to his three kids and well-known for his philanthropy in Akron. 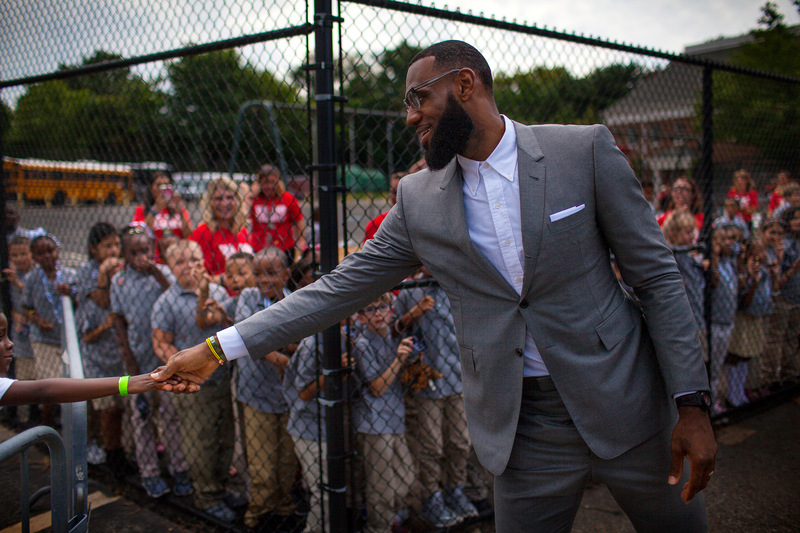 Before taking the stage, LeBron James greets third- and fourth-graders on their first day at his I Promise School in Akron, Ohio, on Aug. 30, 2018. At the height of their careers, James and Chamberlain, the most recognizable basketball players of their respective eras, both dabbled in politics. Early in his career, Chamberlain had made clear that he did not share Bill Russell’s impulse for confrontation or protest. In 1960, he told a writer for the Philadelphia Evening Bulletin, “I’m not crusading for anyone. I’m no Jackie Robinson.” But in 1968, after joining the Lakers, Chamberlain and a handful of other black athletes campaigned on behalf of Republican presidential nominee Richard Nixon even though most African-Americans supported the Democratic Party. Endorsing the “law and order” candidate, a slogan that many black citizens associated with racism, convinced Chamberlain’s critics that he had sold out his people. James, by contrast, is an outspoken leader among athletes publicly challenging racism and injustice. He wore a hoodie with his teammates on the Miami Heat to protest the killing of Trayvon Martin and used The ESPYS award show to voice his concern about gun violence. During the 2016 presidential campaign, James criticized Donald Trump, the self-proclaimed law and order presidential candidate, and endorsed Democrat Hillary Clinton. Rejecting a conservative pundit’s demand that he should “shut up and dribble,” James has emerged as one of the most influential voices in sports, unafraid of jeopardizing his business interests at the expense of his social activism. 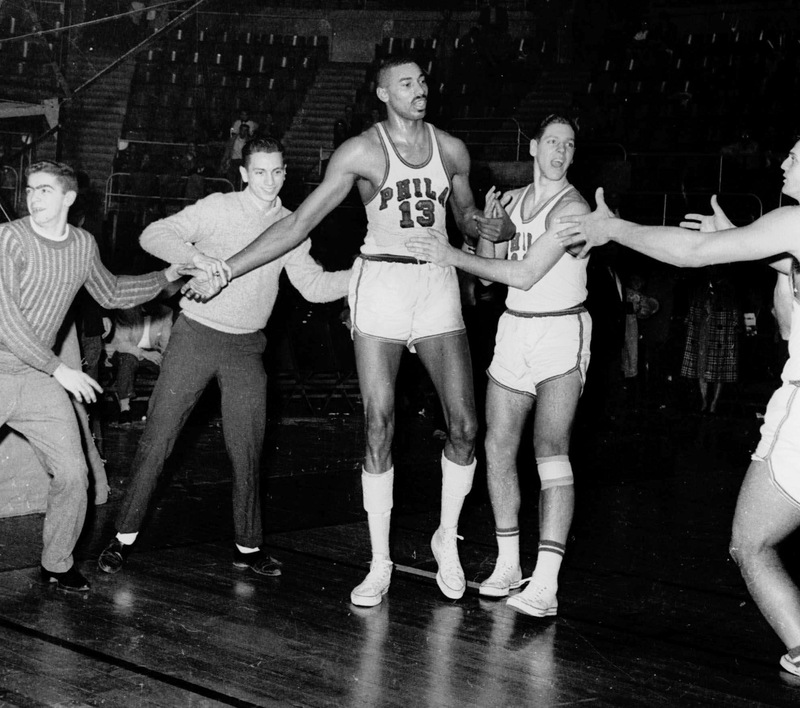 Fans and teammates rush onto the court to congratulate the Philadelphia Warriors’ Wilt Chamberlain (center) in Hershey, Pennsylvania, after he scored his 100th point in a 169-147 win over the New York Knickerbockers on March 2, 1962. For 50 years, Chamberlain’s 100-point night has stood as one of sports’ magic numbers. No basketball player was more recognizable than Chamberlain. “At first glance,” historian Aram Goudsouzian wrote, he appeared “almost a cartoon giant, a man of dazzling dimensions and magnified mythology.” The most talented basketball player of his time, Chamberlain ruled the court with an unprecedented combination of size, strength and athleticism. The Chamberlain mythology created enormous expectations for him to dominate every game. When he failed, the press reduced him to a broken-down heavyweight fighter who couldn’t throw a knockout punch. After the 76ers squandered a 3-1 series lead to the Boston Celtics in the 1968 Eastern Conference finals, reporters blamed Chamberlain. Refusing to shoulder the blame for the team’s collapse, he decided it was time to move on. 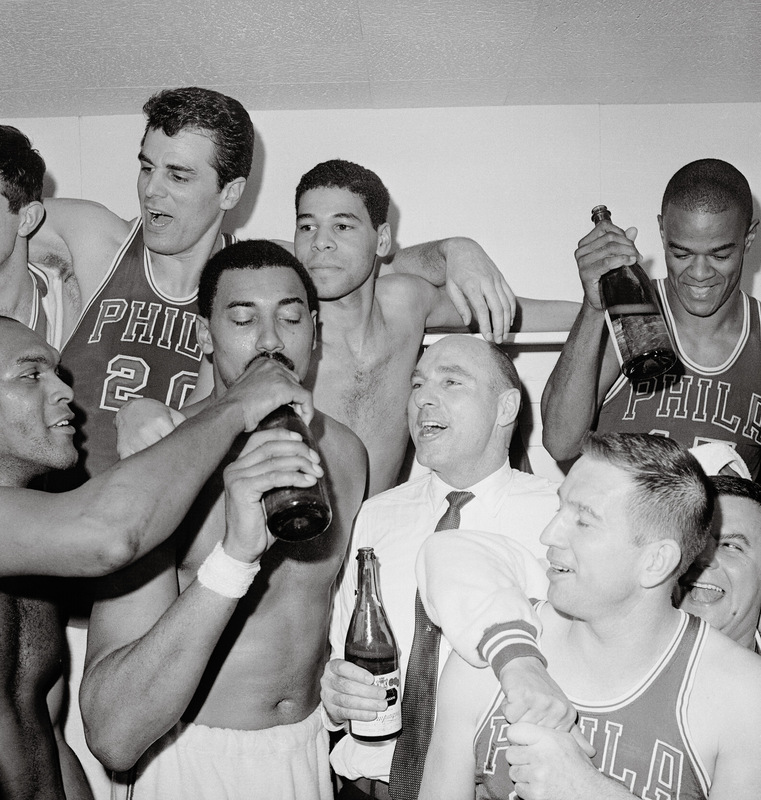 The Philadelphia 76ers are shown in their dressing room after defeating the San Francisco Warriors for the 1967 NBA championship on April 24. Wilt Chamberlain drinks champagne as coach Alex Hannum looks on. A furious Chamberlain threatened to hold out unless Kosloff fulfilled Richman’s commitment. This was before free agency, when every player’s contract effectively bound him to one team unless the owner decided otherwise. Yet Chamberlain had some leverage: He knew, as did Kosloff, that the 76ers could not contend for a championship without him. On the eve of the 1967-68 season, with one year remaining on his existing deal, they struck a compromise: Kosloff shredded Chamberlain’s original contract, paid him a “sizable” cash settlement and signed him to a new one-year deal for $250,000 with the understanding that after the season Chamberlain would be a free man. 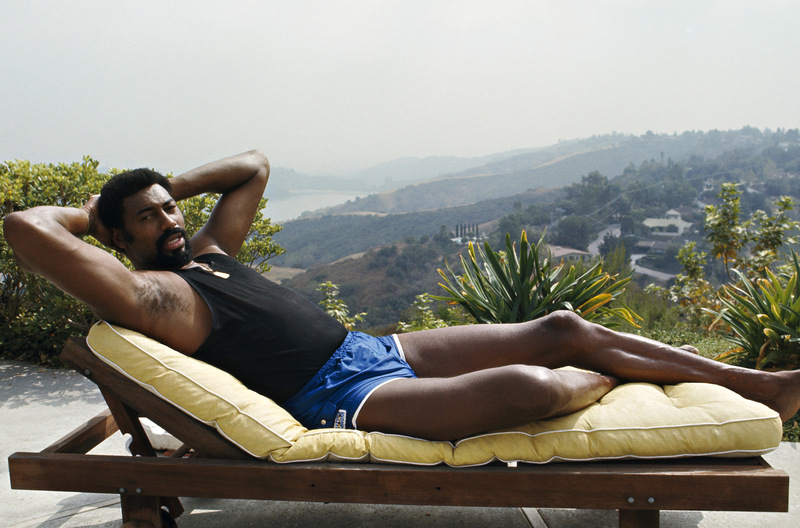 Los Angeles Lakers center Wilt Chamberlain lounges on his deck chair in his backyard. Chamberlain wanted to move to Los Angeles. Playing in L.A. appealed to him for a number of reasons: He owned properties there. His parents lived in Los Angeles, and he wanted to be near them. (He was especially close to his father, who was dying of cancer.) It also was no secret that he dated white women, and Chamberlain believed that his life would be easier in a more progressive city like Los Angeles. He aspired to start a career in the movie business too, although it never amounted to much. Chamberlain appeared frequently on television but had only one significant movie role: Bombaata in Conan the Destroyer. 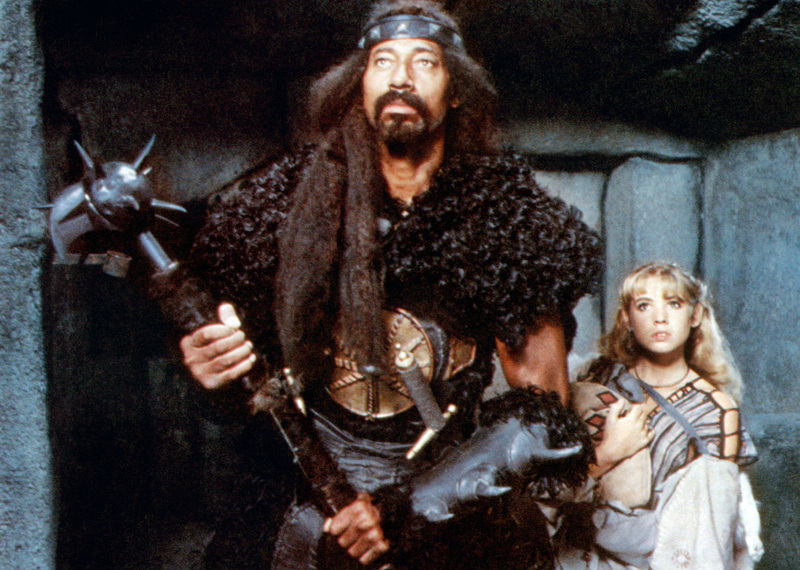 Wilt Chamberlain (left) and Olivia d’Abo (right) in the 1984 movie Conan the Destroyer. Most importantly, though, Chamberlain thought he could win a championship in Los Angeles. Lakers owner Jack Kent Cooke viewed the team as one piece of his larger entertainment portfolio, and he had wanted Chamberlain to be part of it since he bought the team in 1965. When he spent $16.5 million building the palatial Forum, a circular structure with massive, Roman-inspired columns, Cooke envisioned it as a grand theater for entertaining the masses. “The Fabulous Forum,” as Cooke called it, showcased not only basketball and hockey but also boxing matches, tennis, ice skating, the circus and rock concerts. The Lakers were already an excellent team. Adding Chamberlain, Cooke estimated, would bring sellouts at the largest NBA arena and earn him another million dollars each year. The Milwaukee Bucks’ Oscar Robertson (second from left) dribbles in front of teammate Lew Alcindor (center), surrounded by Los Angeles Lakers Jerry West (second from right), Elgin Baylor (right) and Wilt Chamberlain (left) during a game on Sept. 30, 1970, in Los Angeles. James did not build the original NBA “superteam” when he went to Miami. Chamberlain did. In 1968, after he forced a trade that made him the highest-paid player in basketball history, a five-year deal reportedly worth $1 million, he joined Hall of Fame players Elgin Baylor and Jerry West, making the Lakers, at least on paper, Jares concluded, “the greatest basketball team ever.” Writers and basketball executives predicted that the “Big Three” would easily win the NBA title. 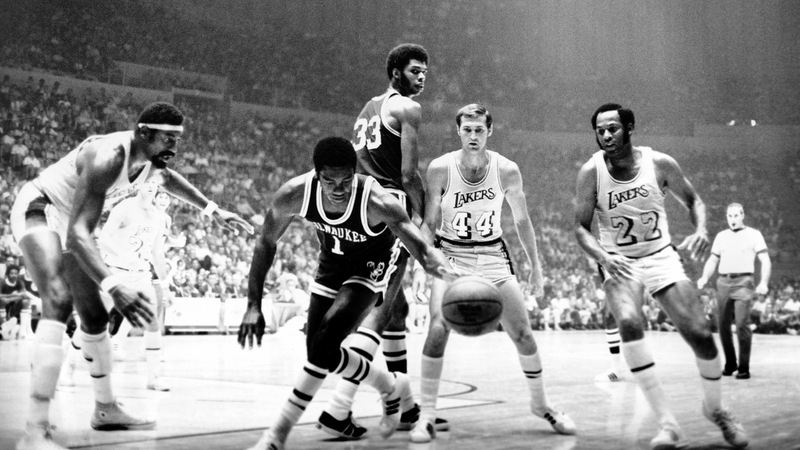 Although the Lakers finished the 1968-69 season with a 55-27 record, the best in team history, they lost in the championship series to the Celtics. Since the team moved from Minneapolis to Los Angeles in 1960, it was the Lakers’ fifth NBA Finals loss to the Celtics. And for the seventh time in a decisive playoff series, Russell got the best of Chamberlain. 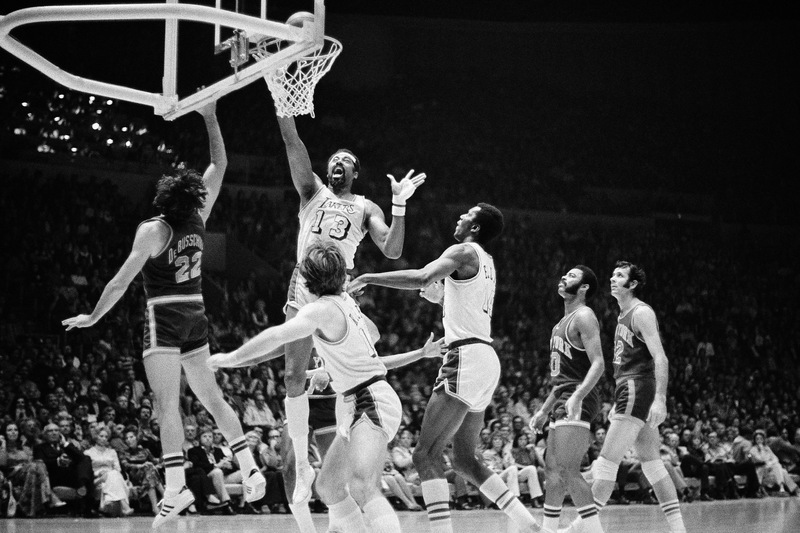 Wilt Chamberlain (center), named the MVP in the NBA playoffs, goes up to tap in a basket for the Los Angeles Lakers against the New York Knicks, May 8, 1972, at the Forum. At left is Dave DeBusschere of the Knicks and in foreground are Pat Riley (third from left) and Leroy Ellis (third from right) of the Lakers. Los Angeles won, 114-100, to capture the first championship since the team moved to Los Angeles from Minneapolis. Finally, during the 1971-72 season, Chamberlain found redemption. Persuaded by coach Bill Sharman to accept a new role concentrating less on scoring and more on defense and rebounding, Chamberlain’s outlet passes to Jerry West and Gail Goodrich galvanized the Lakers’ fast-break offense, spurring a record winning streak of 33 consecutive games. The streak transformed the Forum into a destination for celebrities. Doris Day, Peter Falk, Angie Dickinson, Tony Curtis, Jack Nicholson and Clint Eastwood, among others, brought Hollywood into the Forum, making the Lakers the most entertaining team in professional sports. The team won a regular-season record 69 games and beat the Knicks 4-1 in the Finals. Someday, LeBron James will be able to say the same.